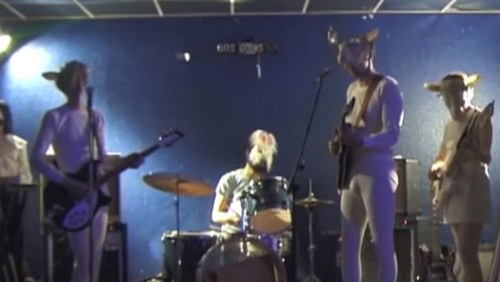 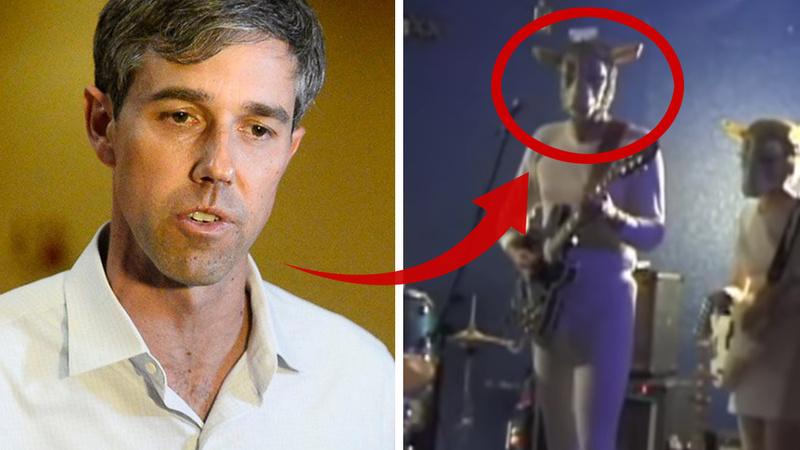 Celebrated left-wing political candidate Beto O’Rourke has been caught on video wearing a “Devil goat” costume complete with what appear to be horns or ears as part of a bizarre mask and a freakish one-piece costume. 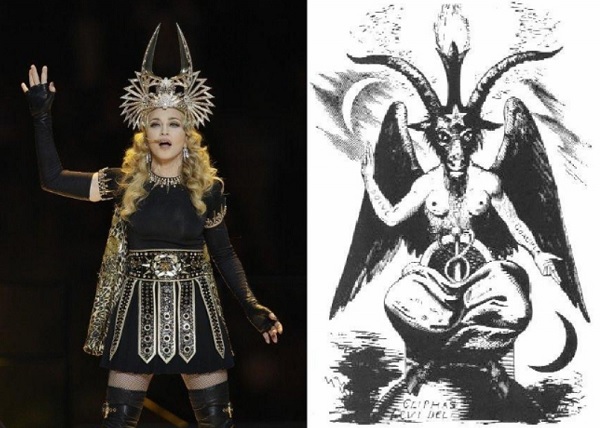 He sported this outfit while performing on stage, raising questions about his ties to Satan worship. 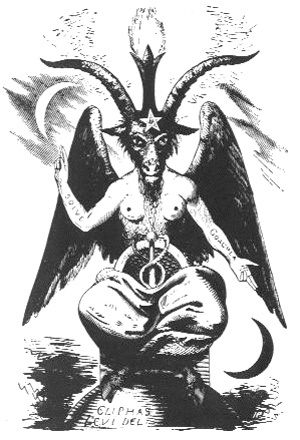 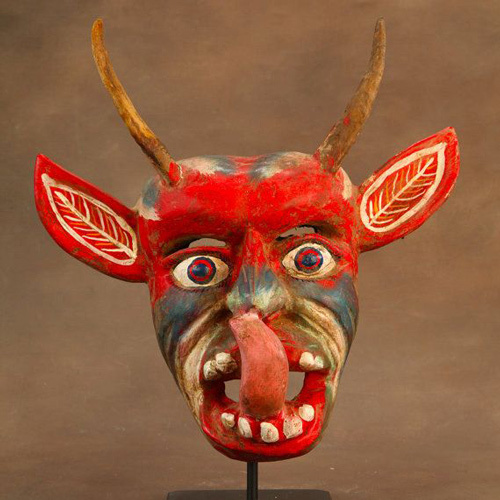 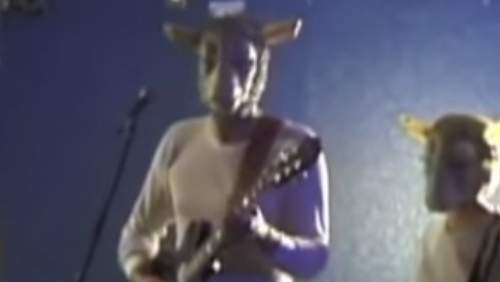 Although the entire establishment media is now desperately trying to paint Beto’s dark past as a harmless band gimmick, the mask he wears in the now-circulating videos appear to strongly resemble Devil-worship goat masks known as “Baphomet,” similar to the one below. 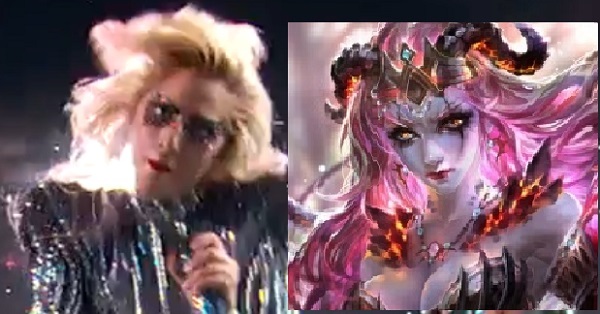 Here’s an image of Lady Gaga, performing at the Superbowl, dressed as a female succubus, a minion of the demonic underworld.